San Germain bulk mask party pack comes with 24 hand glittered masks. This mask pack also has 4 assorted colors. 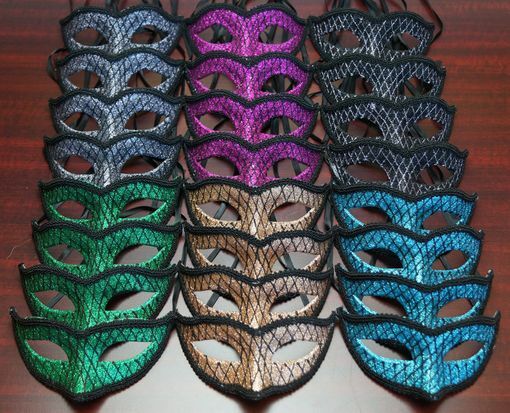 Mask colors are green, gold, aqua, blue, purple, and black. Mask are made of a strong durable plastic.